I'm fortunate to have so many magnetic MITEs, enough for a rhombic dodecahedron, maybe two. Most people don't have those, even math teachers in Finland, so I guess I should stop waiting for the high production values and just get it out there with the terminology. In these videos I'm introducing some of the tetrahedral space-fillers, such as Mite, Bite and Rite. The Lite is a space-filler, and a Syte, but not a tetrahedron. The quarter Rite, i.e. with a point at the center exploding it into four, is also a space-filler, meaning no left or right handed (very strict). Then I go on to show how Sytes face-bond to form volume 1/2 shapes. Koski and I added the Kit to the Kate and Kat. Kit = Lite + Lite. Do I imagine proud geometricians abandoning their tetragonal disphenoids in favor of these definitions? Not really. We're more into building our own culture than into trying to invade and take over the others. Ethnicities do rub off on one another, thanks to tourism, so some percolation of this terminology, by osmosis, is expected. The A & B modules were original with Synergetics and take us into new territory in terms of polyhedron dissections. Then come the T, E & S modules. Al Jazeera was eventually accepted, after Rumsfeld singled it out and some of its journalists were murdered in cold blood. The documentary Control Room is all about that episode. RT right off the bat featured a lot of Americans, some of them familiar, such as Thom Hartmann, a veteran of Air America, author of Unequal Protection, about how the 14th Amendment was used to finagle Corporate Personhood (if blacks aren't real people, but might become so, then so may our artificial persons become real as well, only fair (whitey is so forked tongue it's hilarious)). Jesse Ventura. Interesting characters. Instead of giving Russia credit for adding in a positive way to our media culture, the six corporate media companies decided to circle the wagons and say "we define American culture, not Russians, no way" after which we entered into a Gangland Spy World episode of oligarchs against oligarchs, nation-states trampled under foot. Hard to go back now. We see it's all billionaire cabals with their politico puppets, so now what? Are we still supposed to hate RT? Forgive me for hating CNN so much but all that build-up to inevitable shock and awe against Baghdad was just so nerve-grating. I've hated that network ever since, and will continue to do so. Remember, Jon Stewart was disappointed in CNN too. Then the Dems got all cozy with 'em. Because RT is so much better? Clearly that's a rant, and likely some CNN of the future might be the bee's knees in my book. What got me going were these massive protests in Yemen, regarding the ongoing attacks and blockade, and the helplessness of civilians to do anything about weapons sales to all factions (one of the older stories on this planet). Not finding any CNN coverage yet. I think RT is waaay more informative than CNN. So much more intelligent debate & dialog. US corporate media is just not edgy or cool anymore. The less of it I watch, the smarter I get. I like to boast about regional differences, in the sense that Cascadia, home to the Silicon Forest, is pioneering a more useful STEAM curriculum than you'll find in most parts of the world, including in the UK, which sets the pace for many US east coasters, in the form of standardized testing. But does this regional curriculum actually exist and what does it look like? Simply to remain true to its roots, it'll need to focus on "chips" meaning logic gates, boolean algebra, ALUs, CPUs, GPUs and all that. 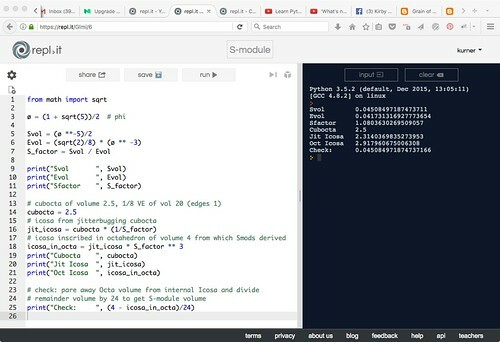 Plus 'learning to code' will be integral with learning mathematics. The above MIT Scratch application, very simple, suggests how we bridge lexical and graphical. The coding environment itself is a mix of lexical and graphical elements, with the language defined in terms of "blocks" looking like jigsaw puzzle pieces. By taking the XY and XYZ Cartesian apparatus of, building on what we learned earlier with figurate and polyhedral numbers ala The Book of Numbers (Conway & Guy) and Gnomon (Gazale), we bridge from mathematics to architecture and visualizations more generally. Mere calculators won't get us there. We need real computers to learn our maths. We need to embrace 3D printing and CAD skills, and what used to be called "mechanical drawing" (making blueprints). For example, tetrahedron EFGH above is called an S-module and 24 of them applied to the faces of the internal icosahedron, build this octahedron of 4 tetravolumes. Starting with a smaller cuboctahedron of volume 2.5 and applying the S-factor twice, we get this icosahedron's volume. Subtracting this icosahedron's volume from 4, and dividing the difference by 24, gives the S-module's tetravolume of (ø^-5)/2. That's right, unlike the east coast curriculum, the Silicon Forest is friendly to the Bucky stuff. 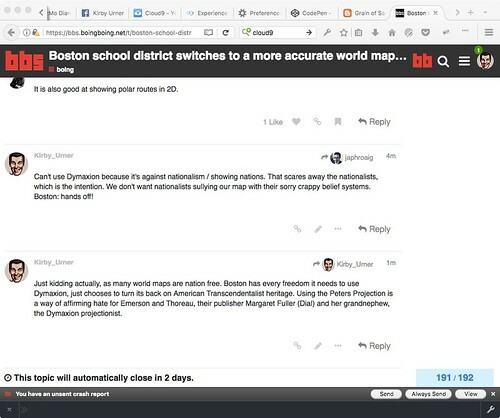 MIT was somewhat friendly, at least when Dr. Loeb was alive, but Boston's public schools recently chose to go from the Mercator to the Peters Projection, without mentioning Fuller's. Maybe New England no longer appreciates American Transcendentalism (Fuller being the grandnephew of Margaret Fuller, early editor of Dial), but we do. At the university level, we might introduce tetravolumes in a philosophy of mathematics class, as a good example of how different language games suggest different axioms. Imagine a tribe in which multiplication were presented differently. That's hard to "imagine" without some concrete example. This Tropical Math YT is the precursor to using three poles, say X, Y and Z. but no longer mutually perpendicular. Non-Euclidean geometries have already legitimized branching away from Mother Goose Math into alternative territory. This might also be an Art History class where we look at Non-Euclidean geometry in Modern Art. On a plane (plain), we divide the unit circle into four quadrants with reference to the four compass directions. In zero-G space (an ideal conceptualization) we have four directions of the tetrahedron and the four quadrants of space, per IVM "caltrop" coordinate system (so "4D" in the Lakota medicine wheel sense). For hexahedronists, it's the three-also-six directions of the cube that make the six-spoked XYZ "jack" (so in the XYZ namespace we say space is "3D"). 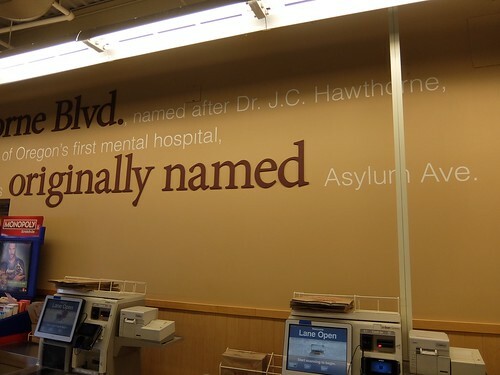 I consider Lucky Lab a gateway to Asylum District, named for the mental hospital Dr. Hawthorne helped establish here, under contract from Salem, before the bigger one was built, a star in One Flew Over the Cuckoos Nest. The actors actually checked in and mixed with the patients, to get it right. That building is gone now too, is my understanding. However those seeking asylum still remain. I was back to working with Iranian polytechnic academies on Facebook again. We go from tiling (of a plane) to space-filling (of volume) and best Harvard (except for Dr. Loeb) in going with the A & B modules, with lots of links to the relevant literature (Aristotle etc.). Iranians appreciate American Transcendentalism by and large. They're reminded of Sufis and not all Sufis are terrorists, despite Turkish PR these days. Closer to home, I've been finishing up Winter Term with the Catholic flagship archdiocese school in Lake Oswego, and Bridgeport Elementary, more likely to have families needing Food Bank assistance. I'm closer to Bridgeport in my socio-economic status, having assiduously avoided the outward weapons trade. As a Quaker, I'd have to shoot myself before buying shares in Lockheed, or put another way, owning any shares in Lockheed would be political suicide for an authentic Quaker like me. 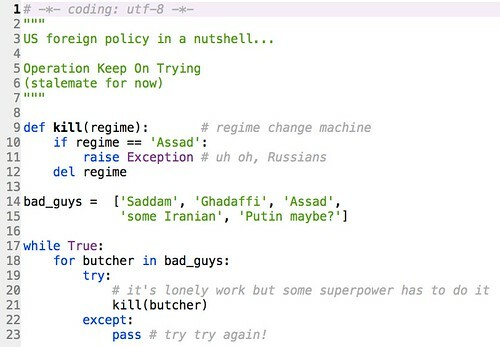 Or in Raytheon. Or in Halliburton. We have our standards, our code of conduct. I've steered clear of Alphabet and Apple too (in terms of shareholding, not products or services), as not transparent enough about their back room dealings. I want nothing to do with Beltway Bandits, the scourge of Planet Earth, even if that means eating out of a dumpster (Food Not Bombs rarely resorts to that around here, and if it does, it's with good cause). I had a diagram on the whiteboard in both schools for the parents / guardians, explaining the progression. Kids were feeling somewhat guilty playing games, but I encouraged it, as what better way to harvest ideas and develop motor skills than by game-playing. The two diving boards, low and high, give them opportunities to risk their egos, and make a splash. Some of them did that today, with parents watching. Karja has put together a complex theory on the rise of order, fitting right in to Wanderers as an "out there" coven of space case cosmologists. Can you say "multi-dimensional"? We have a packed house. Lake Coffee developed in micro-time. I recognize Karja as a non-linearist (we've met before) so didn't mind cleaning it up, using a forest of paper towels. Paul Bunyan R Us. That Lake Coffee was in the tiny kitchen with no cooking surfaces (microwave). I'm told the original design featured a dumb waiter (like an elevator) to the larger kitchen in the basement. The Steve Crouch coffee maker is a really good one, maybe the best we've had (grinds its own) but has more moving parts than we're used to, plus other idiosyncrasies. A learning curve. After dealing with coffee station cleanup, I took a far back chair, to blog in real time on my Android. I added polishing touches from the home office later on. I spoke with Patrick about my Code School the New High School posting, a sleeper for now. I was at PDX Code Guild again last night, for Flying Circus. Karja's theory is strongly into a vocabulary around gender, and how that maps to brain wiring in the human form. That's where the bicameral mind fits in, per Julian Jaynes -- saw him at Princeton -- which I take more as a generic acknowledgement of plasticity in brain wiring over geological time. The details may never be known. Certainly the software changes a lot, and now is abetted by literal software, which I meant metaphorically in the first clause. Rhett Savage is here. That's exotic. Great to have all these engaged "sovereign individuals" (another theme of the talk). Battery is getting low on the cell phone, as I blog the talk live. Don is talking about keyboards, echoing some code school themes. Karja is refocusing on the bigger picture. She's pretty cogent I think in her critique of Borg Planet. Wanderers are not polite necessarily, rude Americans. On the other hand we're here to discuss. She handles herself well in shark-infested waters, so I wasn't in cringe mode watching some ego get eaten. Masculinity is the ordering principle... sounds like Apollo (or was it Mars?). I won't be doing full justice to Karja's theory here. Maybe a studio around town will make us a Youtube. She has an interesting take on Instagram; I'm tempted to add it to my inventory of active apps. I'd say she's in the same "final exam" ballpark as R. B. Fuller, and likewise looks to "the computer" with hope more than dread. She has an interesting take on corporate personhood, if we wanna call it that. #piyemor. Karja sees evidence of active sentience in the cell-silicon whole, distinct from humans. New pattern integrities, more like angels. Digital sentiences. Very Kurzweil in some ways. We're all thinking about Buzz a lot. We miss his soothing radio voice. What saves the institution of membership from degenerating into run-of-the-mill cronyism and cliquishness (the common lot of your average black box church) is transparency to non-members, i.e. no "members only" rituals and initiations. This guiding design principle puts the non-member in a position to fully "try before buying" while placing workflows under permanent "outsider" scrutiny. Members feel publicly audited 24/7, and that's actually what public companies (non-profits) are supposed to provide, in exchange for their not having to pay taxes the same way an ordinary business does. We're more like governments, of, by and for the people. Religious institutions take that "nothing to hide" route, and then often hide plenty. However Quakers pride themselves on conducting their business openly, as a part of their truth testimony. During my most recent tenure on Oversight, I pioneered having a clear policy of inviting non-members to join clearness committees for those wishing to become members, even to convene same. I must say some members found this highly counter-intuitive. We did always have at least one member on said committees, as for purposes of clearness, the candidate member should have worship discussion with Friends of both persuasion. In my view there's no other way, outside of transparency, that has much integrity. Otherwise you get "members only" signs and symbols and before you know it ruling clique mafioso with rank and gradations, handing out favors to the most sycophantic, and the whole anti-egalitarian hierarchy of an illiberal church, blech (some pastor-led churches may be quite liberal in the sense of open source, not saying only unprogrammed have a shot at salvation). You want your convinced Friend / new member to have had the opportunity, at least in principle, to have served in any capacity asked of her or him, which may include sensitive positions that fully exercise a person's talents (e.g. 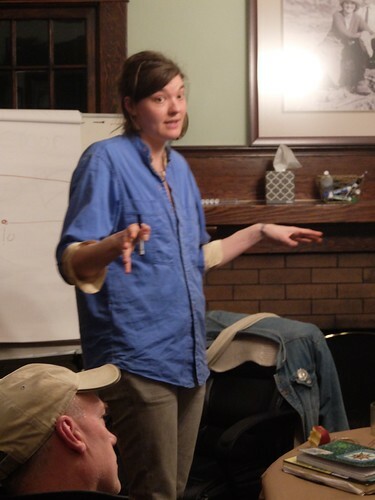 AFSC liaison). Nominating is free to overlook membership in seeking to bless people with opportunities for growth that serve the meeting (win-win). Non-members on Finance, Property, Oversight & Communications, Ministry and Worship, is more the rule than the exception. I know I've shared all this before, but I think it bears repeating. That being said, because we have to map to Oregon state legal templates at some level, as a 501(c)(3), we reserve some of the fiduciary / corporate roles for recorded members, with maybe some rare exceptions. That's in keeping with the institution of membership's main purpose: to draw attention to those publicly identifying as Quakers in some recorded / authorized way. In theory (I've heard this often) the recorded members are presumably taking more risk, like if Quakers get in trouble with the authorities or people start spray-painting Quaker stars (red and black) on peoples houses. Members get credit for bravery and going to jail first. This sense of "going first" traces to olden times when Friends were deemed politically incorrect and extremist. But then we need to remember all the not-members and un-propertied, all the slaves and indentured servants, who were also brave in lending our Society their integrity, in whatever ways open to them. The not-public Quakers comprise a kind of Wall of Stars, of anonymous benefactors who never outed themselves (how could they? Maybe I'm a general in some army somewhere, yearning for peace, whereas outing myself would be political suicide in my position) but supported us behind the scenes nonetheless. The theme here is respect, earned or by entitlement, and I'm suggesting members and non-members are flip sides of the same coin (and I understand meetings not wanting to bother with the overhead -- I'm thinking more of how to cope with inertia from the past, vs. trying to impose an unwanted institution on newer, membership-free brands of Friend like Howard's). "First Day" is Quaker jargon for Sunday. One spin is our Puritan heritage made us shy away from pagan concepts, such as a Sun or a Moon. God's people would just use numbers, goes the theory, and in many a database that's true (the calendrical data gets distilled to an integer). I'm fully under the impression today is Business Meeting, an open event, though not in the sense of including lengthy recaps of prior episodes. We don't interrupt the meeting to do long retrospectives, though that might really help as a Program Committee project. Studying one's own history (as in medical history) is usually a wise investment, unless maybe hypochondria is your main problem, in which case just let go. One of my healthcare stories is dad and I got hepatitis, we think from the corned beef in Ramallah that time, but who knows. We were heading to Florida, having spent the summer in tents, in the outskirts of Rome, and in this small town near Jerusalem, since grown. We banged on rocks with sledgehammers, like in the cartoons, and of our own free will, as peacemakers. AUB students joined us, as did local Boy Scouts (a translation; local adults, mostly men). This was in the early 1970s. Dad's hepatitis got worse and he needed to be quarantined, all while seeking new work in the capital. He'd given several years to the fifty year plans for Libya's development, not that he was the decider or anything as planning is not like that. It's a process, more like a Quaker business meeting. I've already missed Meeting for Worship, which is weekly (Business Meeting is monthly). I was up late watching the new Adam Curtis film, HyperNormalisation. I still have time to make business meeting. Likely I won't have much to say as I'm not currently on any of the several committees. I hopped on a welcoming team recently, got to have lunch with the Abbotts, Betsey Kenworthy, Mike Goren (transferring in) but that's been the extent of it since Peace and Social Concerns. Regionally, I've been active with IT Committee, both on and off, as clerk and not-clerk. Curtis did Power of Nightmares, which I've always appreciated for its succinct summary, with talking heads. I started sampling it last night again, using Youtube (an Alphabet company), which is what got me plowing through HyperNormalisation, released prior to the US presidential election in 2016. I'll get back to it later with a more proper review. I'm still eating the Trader Joe's Pita Pockets I picked up at the Men's Group (Willamette Quarter), having secured a supply of hummus upon returning to Portland. Great gathering, guys. After Business Meeting I might see if anyone wants to grab a beer at either Horse Brass or Belmont Station, both near to the Stark Street meetinghouse. Our branch of Friends is not out to reimpose Prohibition or anything like that. Curtailing human freedoms is not at the top of our agenda, or even in the middle. Quakers formed in many ways as a counter to the overbearing / overwhelming power of faceless institutions, bureaucracies, which in those days was heavily Church of England. The UK had the New World as a blank screen on which to project new vistas, new programming. Many Quakers chose to pioneer said New World rather than accept their lot in the homeland. How the story goes from there is rather long, safe to say the Quakers went on to pioneer in the midwest and eventually some got all the way to California, our spiritual ancestors among them. Our Pacific Northwest meeting is pretty cosmopolitan by this point. We don't have the Unicode name tags yet (for those with names spelled outside of Latin-1) but they're in the works. All contemporary databases support Unicode. Good to hear from you Rick. I'm sipping an IPA after Quaker business meeting. I left early as they wanted to talk about a members-only HVAC system fundraising committee, however I've rescinded the right of these particular Friends to count me as one of their members, for personal integrity reasons (their members are too snooty and spoiled, not my favorite flavor). Best to quit while I'm ahead. I still count myself a Quaker. That was awhile back, that I dropped my membership. I've continued to serve on committees and even donate money from time to time. I'm pleased to be back in touch with Tom on related topics of Zero, Origin, Vortex (one of your favorites), in addition to the caltrop-based (vs jack-based) XYZ-like coordinate system with origin (0,0,0,0). He's the Zero expert. 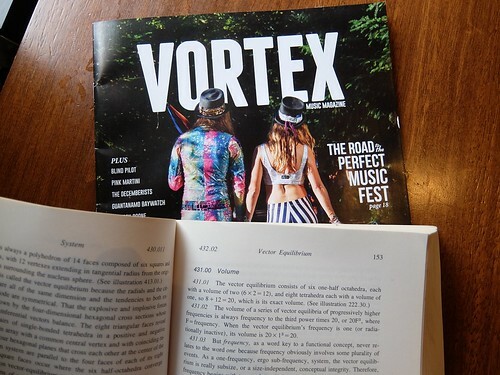 Oregon did sponsor a rock concert named Vortex One long ago. Wikipedia has a write-up I bet. Come to think of it, this Hop House still gets Vortex magazine. The money launderers were at it again today, exchanging their tainted cash for company equities, getting help from a suspect bank. Cyprus may have carried water for a fertilizer enterprise. We're still watching those tail numbers, to see which private jets rendezvoused where. Although we have no firm evidence Flynn actually Skyped the Russian ambassador, leading to Microsoft's leaking the conversation directly to Warren Buffet, stranger things have happened. Click here for amazing weight loss facts. How the Vice Principal got the transcript, if he did, is the subject of ongoing baseless speculation, which the NYT will stand by, as Obama had nothing to do with it. The intercepts, while not authorized by a sitting president, were nevertheless a legitimate probe into what might have been a nefarious business, and in the absence of proof otherwise, we're left at best with a diagnosis of ODD or "oppositional defiance disorder" (look it up). Should the numbers prove disqualifying, an experienced Panetta has reassured us of his willingness to step in and lead us to our destiny, should things get too weird. Or would Colin Powell be our more compliant Smedley Butler and not turn on us this time? Never mind, just business plotting out loud. Whether this finding of ODD is more disqualifying for high office than ADD (or ADHD for those with trouble following) remains to be determined. The union of neuroscientists is expected to produce a report, rivaling that of NIST's on WTC7 for the completeness of its final, if surprising, conclusions. Will Puerto Rico be our 51st state by then? Rumor has it that FEMA wants you to know if you're registered to vote or not given all the rumors of a purge of double voters, a number one felony among the least-likely-to-vote. Some true blue, red blooded Americans (buy Cialis) have suggested (recently) that our Democracy of the Stars was in need of some emergency roadside assistance, AAA-style. If in doubt call 1-800-alt-real. "In a math class we use operator overloading and objects in the first 20 minutes." Bridging graphical and lexical... (2016). Delta vs. Lambda calculus. "I'm handing it over to the physics department in this scenario..."
I'm not sharing this because I agree with it, but because I think it brings into sharp relief what the wall-builders are thinking: "borders, language, culture, that's what defines America, that's what defines every nation." I'd counter that the Americas have never really experienced closed borders of the type the wall-builders envision. What the alt-right is pushing is an ideal (not yet real) form of nationalism wherein we finally do nail down the vision and make borders impermeable (no, not like a cell wall, but Savage uses that metaphor). Kind of like "being documented": we have yet to live in a world wherein everyone is carefully documented, birth certificate onward, but we appear to be approaching such a world, given IT prowess. We can imagine it and somewhat need that (universal documentation) to work better for the ideology of nationalism and its concept of "citizenship" to finally reach everybody, including nomads and gypsies. Nationalists ardently wish for the nationalist ideology to finally become the dominant ideology, whereas I'm more thinking nation-states reflect a bygone Victorian Era imperialist world view of another day. That doesn't mean they can't or won't continue to provide core services. An older globalism is getting replaced with a newer one, with more morphing to follow (humans are reprogrammable, our saving grace), which neither abolishes ethnicity nor self esteem, nor pride in one's heritage. Our telecommunications have a lot to do with it. It's not telepathy, but it's close. When nations got off the ground in Europe, around the time of General Garibaldi, we didn't have this layer yet. We globalists just happen to see more clearly than ever that our species shares a biosphere and needs tools (such as the macroscope) to self organize. We're doing our best, which may not be good enough, that always seems to be the story line. Speaking of macroscopes, Glenn caught it right away when IBM embraced the term recently. For Glenn and I, the macroscope meme connects to the hexagons + pentagons pattern of the soccer ball, but perhaps with many more hexagons (higher frequency). What if any such motifs IBM is considering we're not privy to. A lot of PR has been moving in that direction, sensibly. Edward Popko's Divided Spheres is a great primer on spherical surface subdividing. The Platonics have been played with for ages. They're a closed set under the operation of "dualing" i.e. the dual of a Platonic, is a Platonic, the tetrahedron being self dual. The self-dual tetrahedron gives rise to the cube and there, with mutual orthogonality, we get phi entering the picture, as mutually orthogonal rectangles supporting the icosahedron of twenty equilateral surface triangles. The Borromean Rings may or may not enter the picture at this juncture. The icosahedron, crossed with it's own dual, yields the rhombic triancontahedron (RT). Hold that thought. 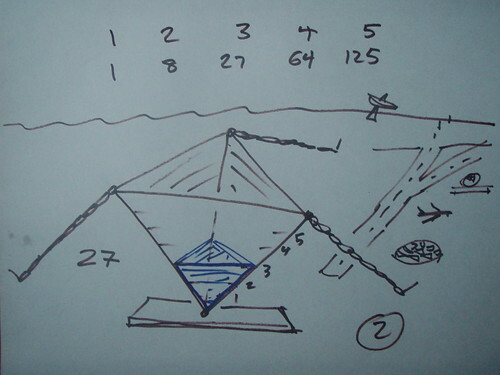 It has thirty "wedges" to the center, thirty diamond faces. Turning next to the TetraBook, you'll remember how DB Koski was tilting its page. That's not the only possible TetraBook by the way. A 2x2 square, three of those corner-intersecting, makes our octahedron, half of which could be a book. Again, with an isosceles page straight up (angles 45, 45, 90), you have unit volume (1/4 of the octahedron's total). That's unit in IVM tetravolumes (vs XYZ cubic volumes). The classic TetraBook has equilateral 2x2 triangular book covers, with one page flapping back and forth, same size. Click stopping at volume stops map(√, (9/8, 8/8, 7/8, 6/8, 5/8, 4/8, 3/8, 2/8, 1/8, 0)) may seem a bit quirky, but at √(4/8) volume, he notes a volume of 4 E3, the same as a wedge in the aforementioned RT. E3 = √2/8 and 4 * E3 = √(4/8), one of the volume click stops along the TetraBook track. The notation is such that the RT hugging (shrink-wrapping) a unit-radius sphere is made of E-modules, which scaled up by phi are E3 modules, as volume is upped by phi to the 3rd power when the thing is linearly scaled by that amount. Scaling down by phi is lowercase: e3. We have self-similar E6, e6 etc., going up and down the size spectrum. Reducing volumes to canonical assorted "sizes of E-module" is one of DB Koski's focal points. He'll do the equivalent with S modules given their simple volumetric relationship: VE:icosa :: S:E (S:E is the so-called "S factor"). The TetraBook track is important for the last two stops, 8/8 and 9/8. Those are the two unit volumes in the IVM and XYZ coordinate systems. If World Game were a game show, which game show would it be? Who remembers Family Feud? Good wholesome fun, right? "We've got billions, we can buy weapons, fortifications, governments... we've won." But then there's the problem of other billionaires (multiple cabals) and to what extent do we need the people to tacitly go along. It's starting to look like they don't miss their democracy and are willing to play out their lives within a global plutocracy. Do they have a choice? That's a question. Given how I'm such a Bucky fan, I feel as an exercise I need to investigate in what ways he might have been right in Grunch of Giants, about the fate of the United States. He saw the cash reserves of the world concentrating in the hands of invisible private interests with governments left out in the cold as puppets acting out the various feuds among billionaires. He called this cash heist GRUNCH ("gross universal cash heist") and claimed it spelled curtains for the nation-state age, as the billionaire fortunes are supranational in nature. Given what I'm seeing on the news, this 1980s "science fiction" is seeming plenty believable. 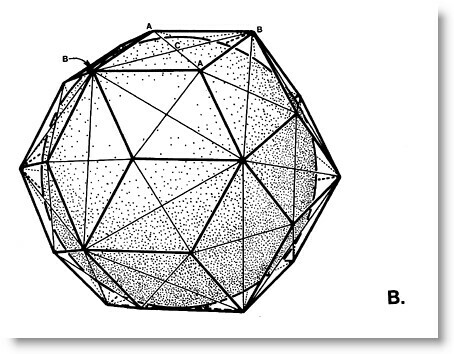 I'm thinking Bucky Fuller deserves a place in the pantheon right next to George Orwell. There I go again, trying to win more points for "da man" and besides, who wants to be the next Orwell? Doesn't that sound rather grim? What else have I posted recently that might be fun? Oh yes, my "generation gap" analysis regarding why the younger people have a vendetta against the so-called MSM (mainstream media). I've sounded these notes before. In a lot of ways what I'm interested in is not "the truth of what happened" but of generational perspectives thereof (ditto Apollo, which I believe happened but record numbers of Millennials have doubts and that's interesting all by itself). If 0% think Oswald acted alone, that's a fact independent of whether he did or not. What people believe is not the same thing as what's actually so, and I may deliberately care more about the former than the latter. I'm saying there's a generation gap around the NIST report on WTC7 regardless of what really happened, which helps explain the positive reinforcement some politicians are getting for attacking the mainstream media (MSM). My personal opinion somewhat doesn't matter relative to what I care about (opinion at large). As for how coordinated the conspiracy theory needed to be (the hijacker theory is also a conspiracy theory, by definition), given WTC7 was evacuated ahead of time and its immanent destruction announced by apparently clairvoyant operatives (NIST hypothesis), the decision-making network might have been entirely different than the one vested in using airplanes, in principle. WTC7 was clearly a white elephant by 5 pm (extremely damaged) and rubble cleanup would be happening anyway, given the fate of the other towers, so why not pull the plug on this bystander now, all people out of the area, rather than demolish it later? I don't have to believe the decision to bring down WTC7 was far in advance or coordinated with hijackers, only that it was wired to go, who knows how long ago, maybe years, knowing all buildings have a life span in Vegas. If you know the key codes, you can blow it. People say that's unrealistic, but then buy that the planet itself is wired to go, and that some president has a football to make it happen. The TetraBook is a "job" like in Montessori i.e. take it down from the shelf, play with it, put it back. Reshelving is important. Your physical designs for Bridges (ongoing) made sense. I'm not thinking we have to strictly nail what a TetraBook looks like physically, having done the diagrams. Leave that to the designers. Virtual TetraBooks, such as we've done already, sit on virtual shelves. My students doing real time professional development get a radio-TV show experience, enhanced with live messaging. I've worked in other configurations, including in not real time (asynchronously) with O'Reilly School of Technology (OST), but that meant under three days to respond, with source code to eyeball and make sense of. My students had my attention in ways the radio-TV does not provide. A combination of the two might be a next step. However, for now I'm content to suggest projects and provide source code that's encouraging exploration in several directions. We go against a movie database, check out the API. As of last night, I'm able to check Trimet's Trip Planner, thanks to Sheri Dover for sharing this part of the PDX Code Guild curriculum with me. What I suggest to self learners around a Python topic would be this three step workflow: anchor yourself in the API's documentation to where you're ready for testing it. Hop over to Youtube and fish up useful movies on exactly what you want to know (good luck). Inch forward, using the Agile test-as-you-go tiny increments approach (heavily ratcheted, for steep learning curves, even vertical climbs if need be, though I'm not into melodrama necessarily). In Python we're lucky to inherit Java's JUnit framework, which goes really deep once you add in the mock objects. At OST, we emphasized TDD as a methodology (write the tests first). Talking up "open source" and really taking that culture seriously, including its internal conflicts and heritage, is something I do as a geek. If you listen to me, you learn about this or that rift or conflict, but it's not like I'm endlessly grinding a lot of axes. I've got it down to very few axes at this point. One of those cutting edge blades of debate is: where do we include Unicode in K-12 in US public schools? I'm not saying it's up to me and if I were writing on this topic I'd want to dig down in the curriculum first, not that there's only the one, do some homework. The US is a diverse territory and there was never a consensus on what to say about Unicode or how long to spend on UTF-8. Not everyone reading my blogs cares if the US is stuck in the calculator era and not facing the future. Yes, I have a parochial outlook thanks to my geographic location and personal history. 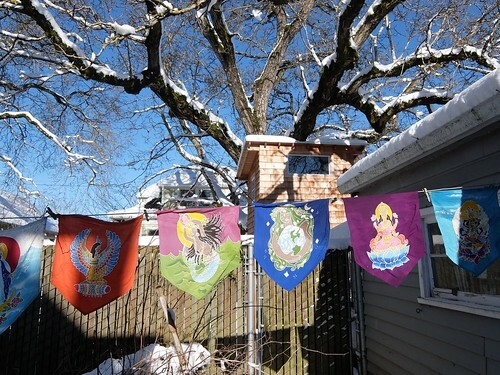 Portland, Oregon was the city of my childhood, which I returned to after many exciting adventures overseas. I've lived here since 1985 and put kids through the school system, volunteered in it, even had some paid work in it. As you scan these blog posts, you may see some of the same discussions you've been having, regarding "i18n" for example ("internationalization" as every geek knows). However, a lot of what I talk about is pretty esoteric by today's standards, fair warning. I'm not saying that to be condescending as I'm the first to admit to not being inner circle when it comes to certain parties. I'm as clueless as they come regarding the secrets of many cults. 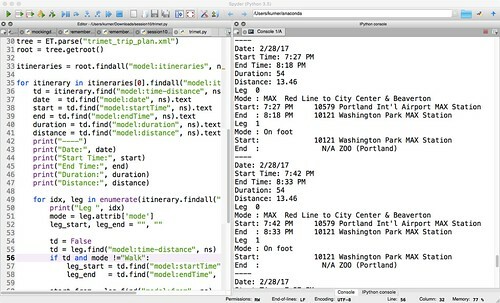 Trimet has a great Trip Planner system, multi-modal, and with a public API. If your city bus system has a public API, then join that inner circle. Hey, even if you live far away, if what you need is simply practice getting back complicated XML about something so easy to reason about as getting from A to B by public transportation, I'd recommend registering with Trimet and grabbing a developer token. Get ideas for your own city, don't reinvent the wheel. Or do. I'd like to see a JSON output option, bet Metro would too.